It looks like Baker & Taylor is pulling back from their previous plan to offer a proprietary (and incompatible) library ebook platform. At some point later this year Axis360 is going to offer library patrons the choice of checking out ebooks in Epub as well as the current Blio format. 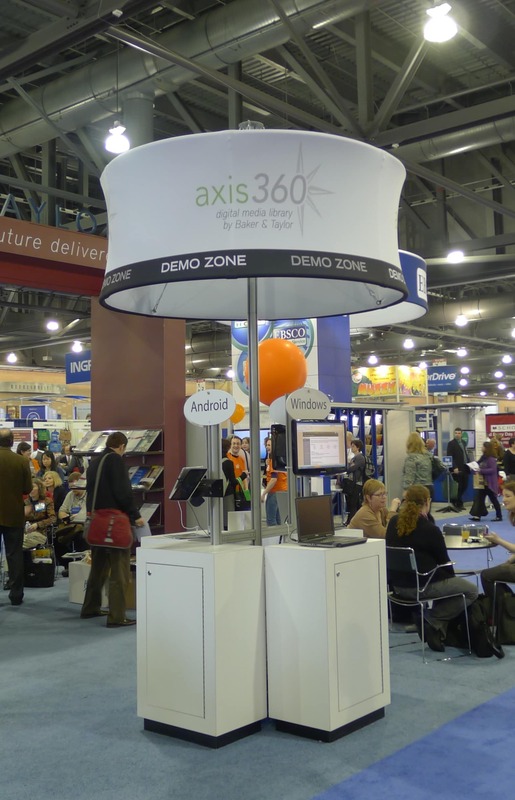 Axis360 was launched in December of 2011 as a move to capitalize on Blio, the new rich ebook format which B&T lunched in late 2010. The pilot partner was King County Library System, which is based in and around Seattle. B&T has expanded xis360 to include 45 libraries now, with another 50 likely to be added by the end of the year. There are now 200 publishers signed up, with over 240 thousand titles offered. The ebooks can be read on the Blio apps, which are available for iOS, Android, Windows. Now, one key shortcoming of Blio and Axis360 is a lack of compatible ereaders That will change later this year. I've been told that Epub will be offered later this year. And just to be clear, I was specifically told that Axis360 would offer the option of Adobe DRM (compatible with the Nook and other ereaders). And yes, I am wondering how they plan to accomplish that; it's technically complicated to convert from Blio to Epub. But that would be no less technically complicated than converting to Kindle format, which is what B&T would like to do. They're in talks with Amazon, but I wouldn't read too much into the negotiations. Everyone (Freading, B&T, 3M) is in talks with Amazon but no one appears to be getting anywhere. If and when they add Epub support, Baker & Taylor will have accomplished what I didn't think they could do: launch a credible competitor to OverDrive. The format and DRM restrictions of Blio prevented it from working well on ereaders, thus removing it from the interest of a lot of library patrons. But it looks like B&T figured that out. Blio? Blio is still around? And why? Looking at King County’s Axis 360 offerings I see nine adult fiction titles and the rest juvenile fiction and non-fiction.